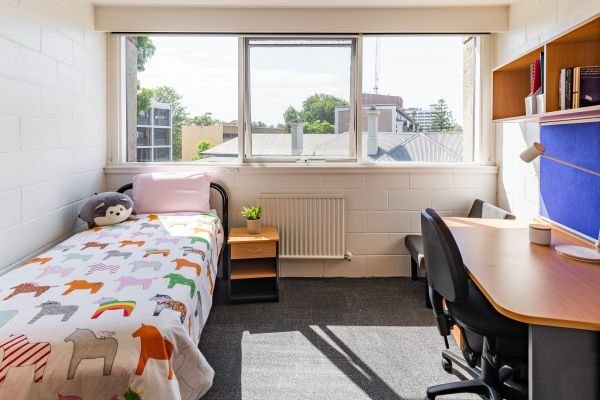 International House provides a range of accommodation styles for undergraduate students, just ten minutes walk to the University of Melbourne. Our 290+ undergraduate rooms are set amongst 1.5 hectares of beautiful gardens, outdoor study areas and sporting facilities, and will quickly become a peaceful home-away-from-home. Female-only floors are available on request but are subject to availability. Priority for room allocation is determined by the length of stay in the House, the number of years of successful study at tertiary level and participation in House activities. First-year students are allocated rooms by the Deputy Head of College. 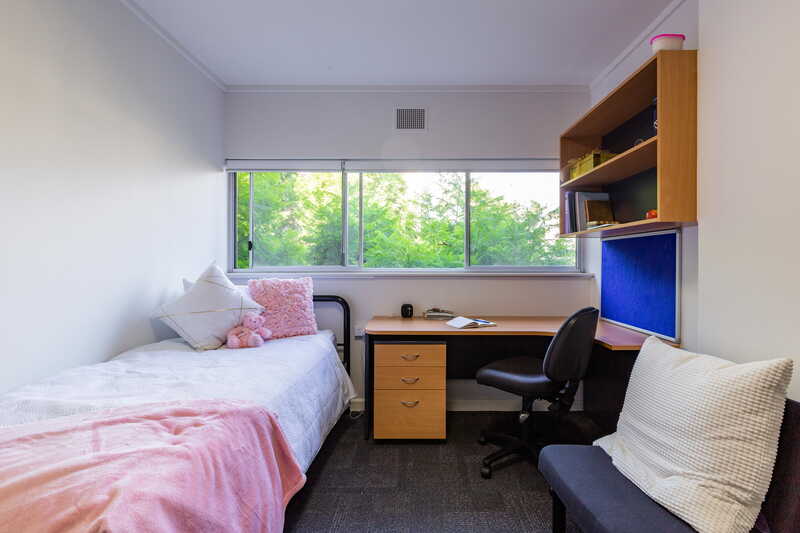 Returning students have the opportunity to select a one or two bedroom apartment, or share a four bedroom apartment with their IH friends. 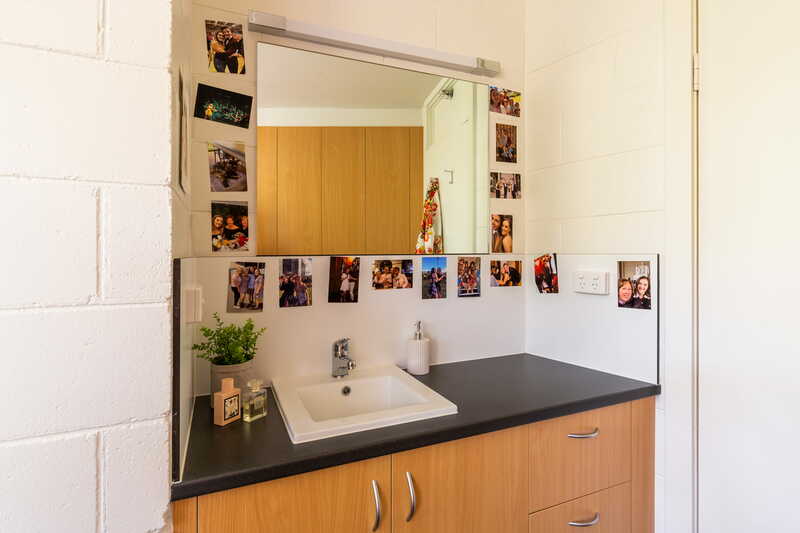 The apartments have their own cooking facilities, lounge room with a TV and private bathroom. 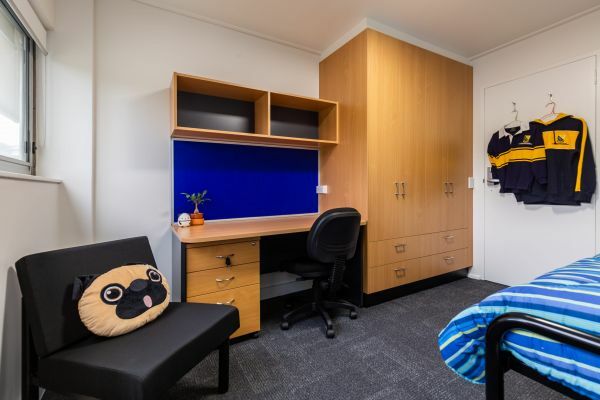 Room allocation is based on a students' involvement in college life, and each college activity has a point value attached which is used to allocate rooms. Students can earn points by being involved in events, performances, sporting teams, or volunteering their time in service to the College. The friendly cleaners at International House clean all of the communal spaces in and around the college. 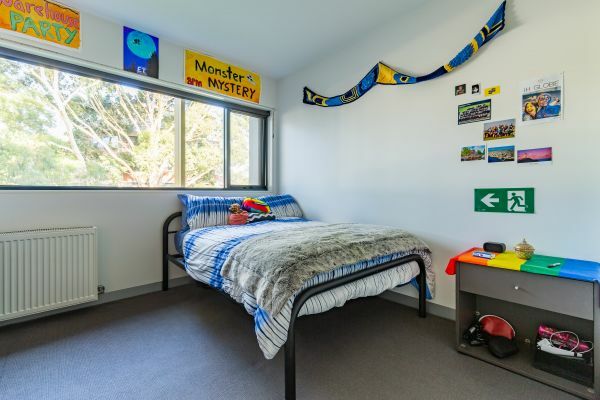 However, residents are expected to clean their own rooms and keep them reasonably tidy throughout their stay. Vacuum cleaners are available for residents to borrow during business hours. You will need to provide your own linen. Linen can be brought from home, or purchased from the Front Office ($90 fee). Students are responsible for doing their own washing, and laundry facilities are provided for this purpose, including coin-operated washing machines, tumble dryers, ironing boards and irons. An electronic key system protects student bedrooms and the campus from unwanted intruders. The University of Melbourne Security patrol nearby and are on-call to walk students home from the University of Melbourne late at night. CCTV cameras are also in operation at International House. 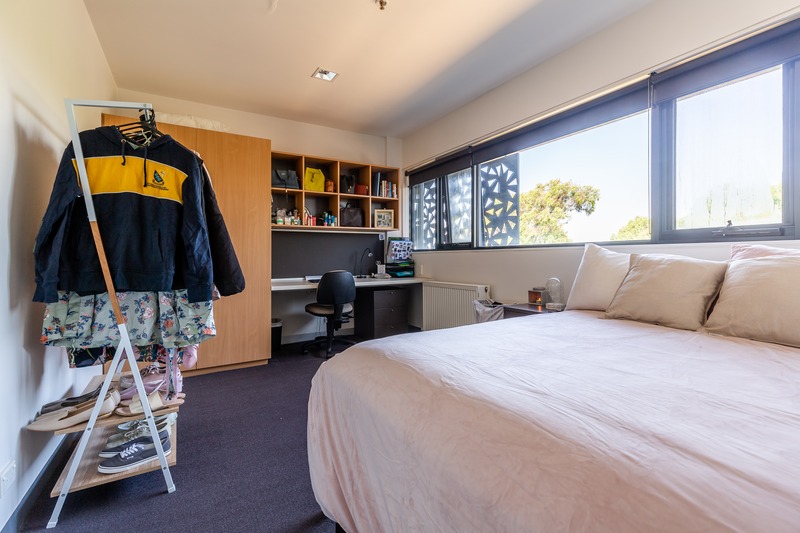 Undergraduate students are in residence for 38 weeks of the year (plus O Week for first-year residents) - from February until November. Students generally don't stay during the summer break unless they are studying during summer. Students can extend their stay to include the summer break (or part of it) if they pay an additional fee and self-cater. If you are interested in staying at International House over summer, contact us.